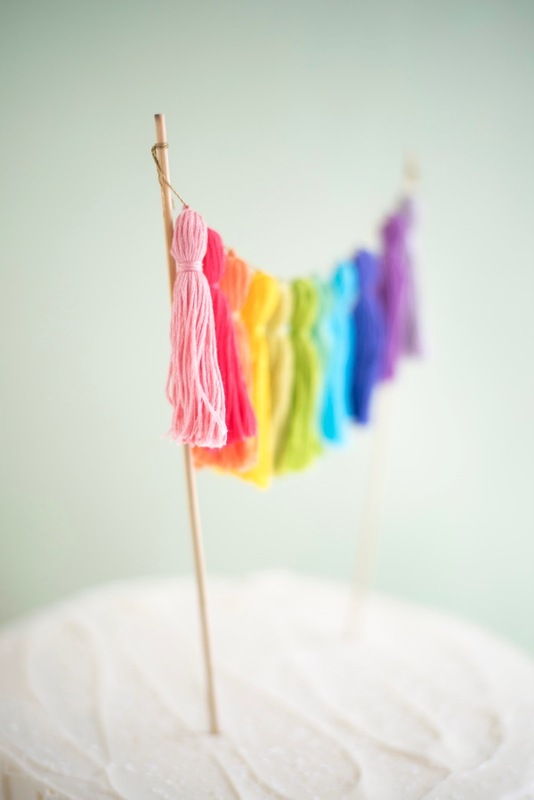 I think everyone can agree that rainbows are a few of our favorite things. 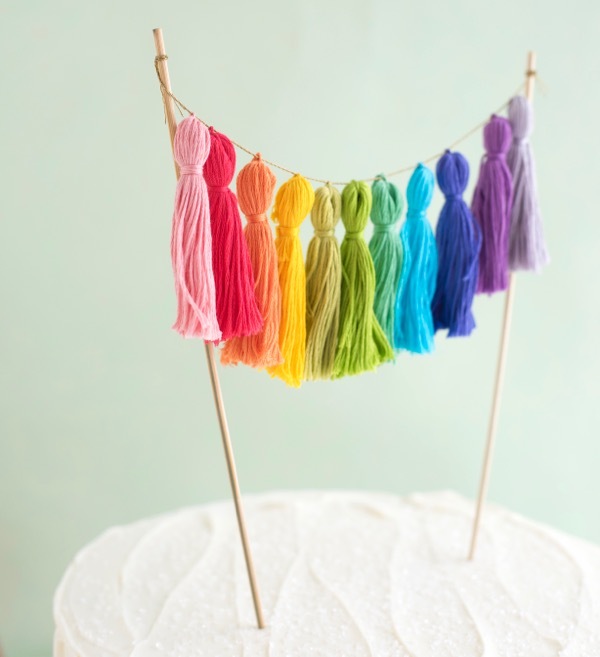 This cake topper is easy-peasy, and oh so pretty. Not into the rainbow? 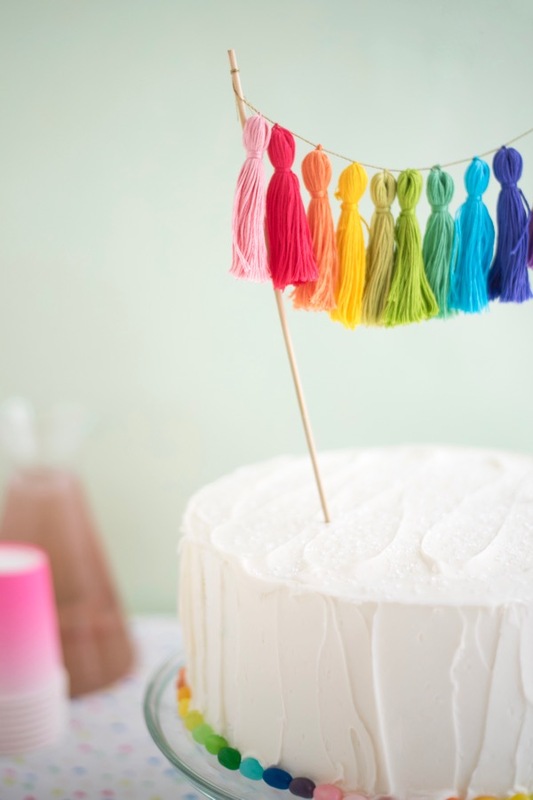 Make a beautiful ombré of pinks, yellows or blues for a baby shower, or the theme colors of any party….there are hundreds of delicious shades of thread to choose from at the crafts store! 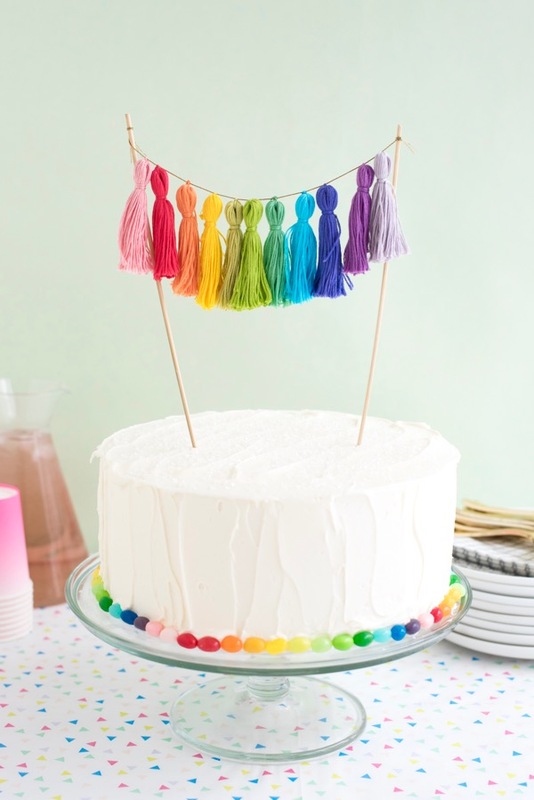 Materials needed: rainbow shades of embroidery floss, scissors, bamboo skewers, gold twine. Step 1: Fold a skein in half, and cut about 10 inches off one end. Cut the 10-inch piece in half. 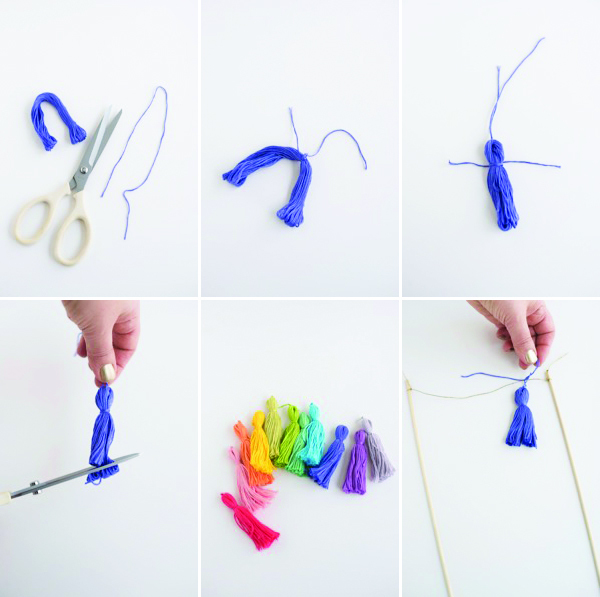 Step 2: With one five-inch piece of thread, tie a knot in the center of the folded thread. 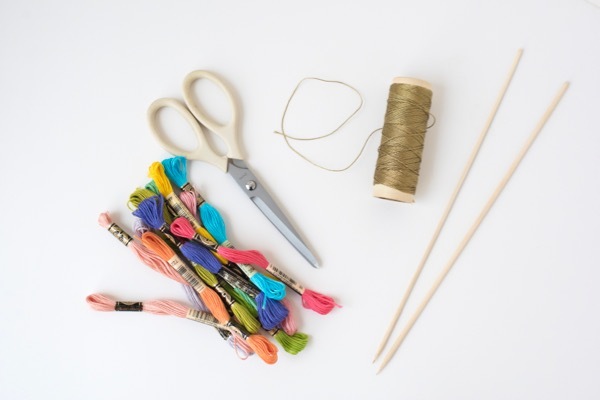 Step 3: With the other five-inch piece of thread, wrap the thread a few times around the bundle of thread, about ½” down from the top knot. Step 4: Trim the bottom of the bundle of thread, cutting any visible looped ends off. Step 5: Repeat with all colors of the rainbow. 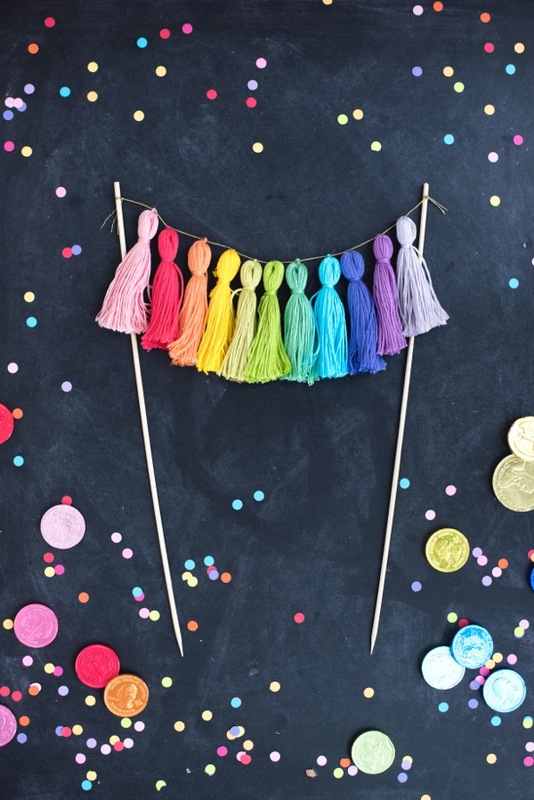 Step 6: Tie a 10” piece of gold twine to two bamboo skewers, snip off any extra twine, then tie each tassel onto the gold twine in rainbow order. 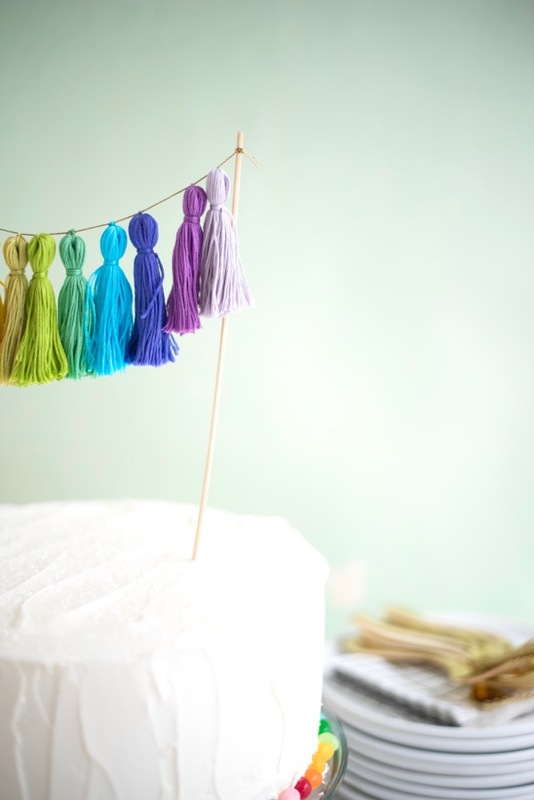 Tuck the excess thread down into the tassel, or simply cut it off close to the gold twine. Happy to read this post.